Designed for personal defense and medium-game hunting, XTP® Mag™ bullets provide the same controlled expansion, accuracy and dependability that have made XTP® bullets a favorite among target shooters and hunters alike. 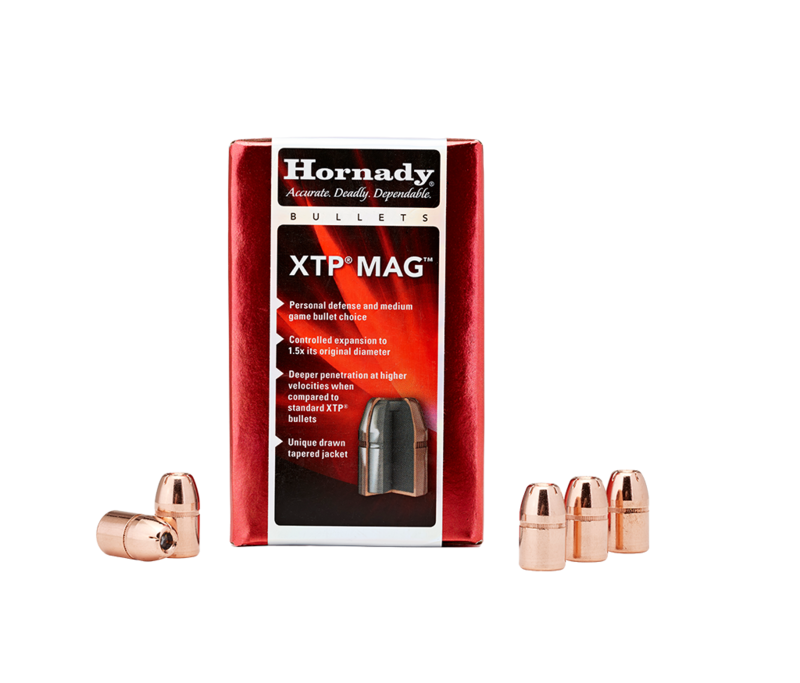 But XTP® Mag™ bullets are designed to take things a step further — withstanding the higher velocities and impacts of ultra-powerful, magnum handguns while delivering even deeper penetration than standard XTP® bullets. Precise serrations divide the XTP® Mag™ into symmetrical sections, strategically weakening the jacket and initiating controlled expansion even at low velocities. 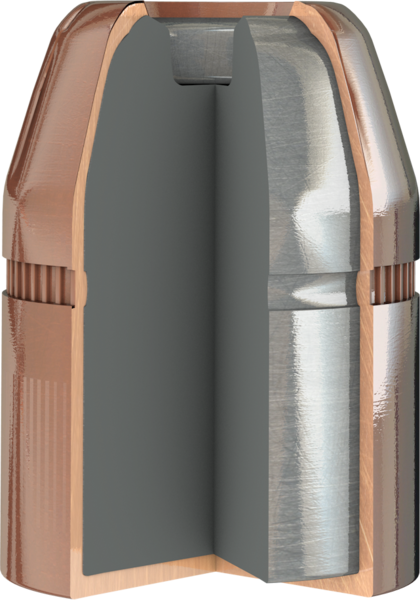 Expansion is controlled by varying jacket thickness down the length of the XTP® Mag™, providing a definite advantage over plated bullets which have a uniform jacket thickness over the entire bullet.